How to apply customer loyalty right ? This right is for customer loyalty. 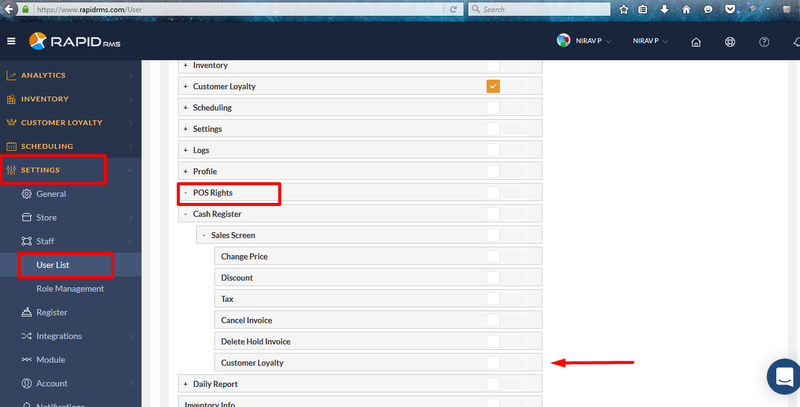 Setting -> staff -> user list -> open user in edit mode -> open user rights tab -> POS rights -> Cash register right -> Customer loyalty. 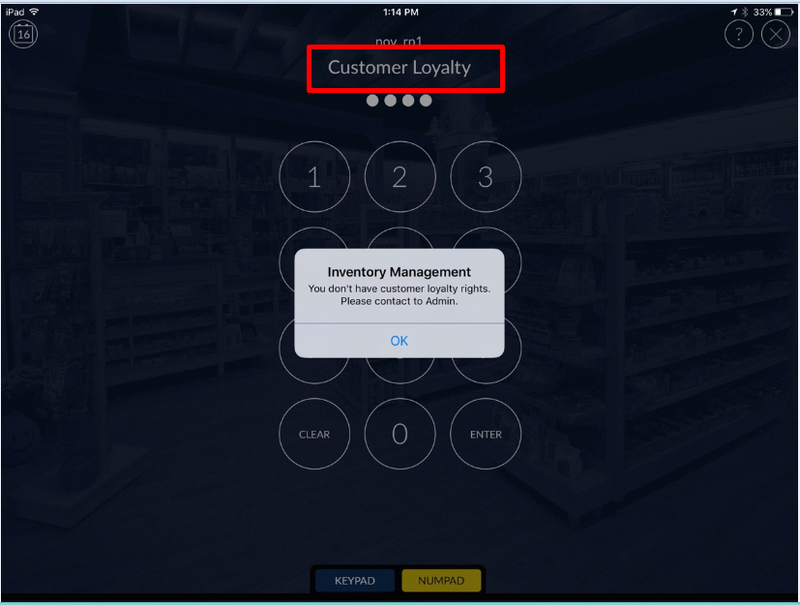 When from web if right of customer loyalty module is unchecked then in IOS rapid is not allowing to use customer loyalty for that user.